Gold price prediction really works? Home » Gold » Gold price prediction really works? Yellow shining metal gold is considered as safe haven for many. Many people invest in gold just to earn good returns. 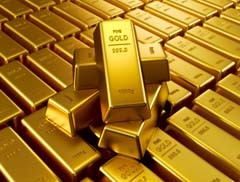 We keep on hearing about gold price prediction by many experts on TV, newspaper and internet. Million dollar question that is bugging up in our mind is this prediction really works or in other words can someone manipulate gold price? Let’s check out various facts about this prediction and gold price behavior. You might have heard the news that Gold drops below $1,500/oz, lowest since July 2011. The price of spot gold has fallen nearly 6 percent so far in 2013, after a 12-year rally, as investors searched for better investment returns elsewhere including equities. Gold has somehow lost 18% from record peak. Currently gold is quoting price 27500 Rs/-. Gold was available at same price nearly one year back. The scale of downfall is absolutely breathtaking and unlikely by many. Most of people had thought that gold will rally as stock market is going down. Gold price has rally little bit and ultimately fallen back. 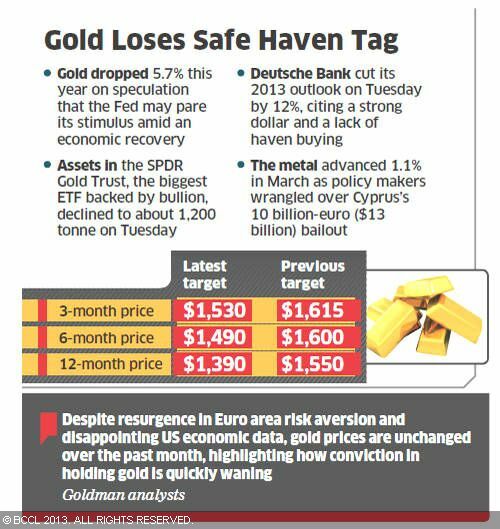 Many have belief that gold price never fall but it is not correct, with current behavior gold price one can say that gold is no more holding safe haven tag, as it is proved to be unsafe. Because of this disappointment, most people are reducing their holdings of gold and which will lead to further drop in gold price. Although gold price prediction does not work or gold price cannot be manipulated many Bank and gold analyst once again revise perdition and change the target. I feel that they revise target based on trend. I strongly recommend that one should not take this prediction seriously once in a while you can see gold prediction but investing in gold based on this prediction can be risky affair.